Winner of Best Revue category for Magnificent Musicals. 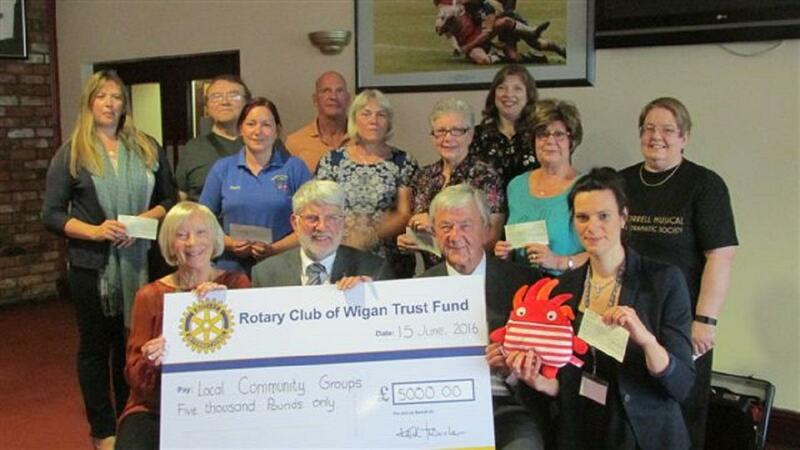 In June 2016, we took part in a Dragon’s Den held by Wigan Rotary. Through the generous donations of Wigan residents the Rotary were able to donate a total of £5,000 to 10 local community groups. 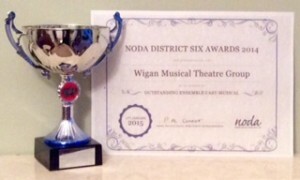 Wigan Musical Theatre Group were lucky enough to receive a £500 donation which will go towards the staging of our next production. Our thanks to Wigan Rotary for hosting a wonderful evening and to everyone who support the Rotary in their good works. 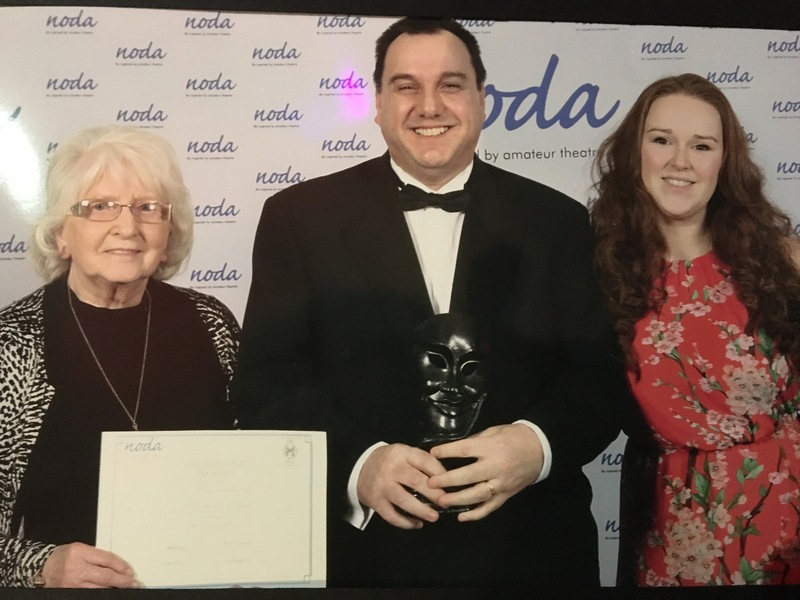 Our Musical Director, Joan Bond was surprised with an outstanding service award at the NODA District 6 Dinner in January. 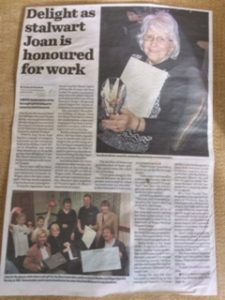 Joan has been involved in the performance and direction of music in Wigan since she was a teenager and this is a well deserved award for someone who has tirelessly given her time and talent to our group for decades. Congratulations Joan! In March 2015 we staged the popular Rodgers and Hammerstein musical, South Pacific. 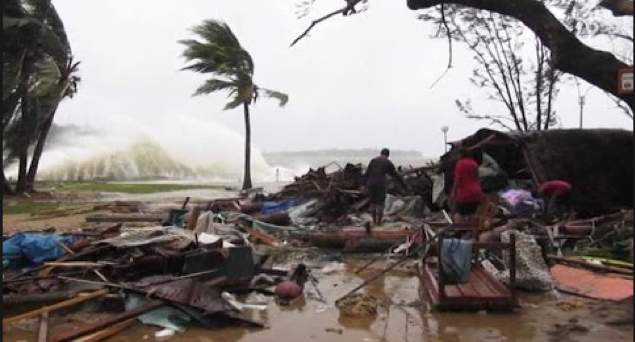 In the same month Cyclone Pam ripped through the South Pacific islands of Vanuatu leaving devastation in her wake. We decided to launch our own appeal in support of the victims of the damage caused by storms and flooding. We would like to extend thanks to the audience of South Pacific. During the week of the performance an amazing £400.00 was raised which has now been donated to the Oxfam Cyclone Pam appeal. A wonderful musical evening with an amazing £3,000 raised for the Motor Neurone Disease Association.